In the East Riding, Action Towards Inclusion programme provides you with your own Work Recovery Coach who will work with you to understand any problems you face. Together we’ll find out how to overcome them so that you can get where you want to be, supported all the way. Working for Health is one of the Keyworker partners of the Action Towards Inclusion programme and specialise in employment for people with a mental health condition. 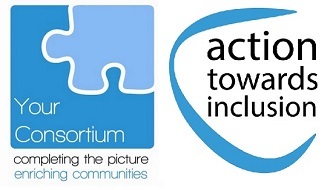 Action Towards Inclusion is the name of a new £7.4m partnership project taking place in the York, North Yorkshire and East Riding Local Enterprise Partnership (LEP) area and is managed by Your Consortium in Knaresborough. Action Towards Inclusion is part of the national Building Better Opportunities (BBO) programme that brings together funding from the Big Lottery Fund and the European Social Fund (ESF) to help tackle the poverty and social exclusion faced by the most disadvantaged people in England. By joining up with ESF, the BBO programme will double the impact of Big Lottery money at a local level and offer a route to European funding for organisations that may have found it difficult to access it in the past. There are over 50 partners involved in the Action Towards Inclusion project acting as Keyworkers and, in some cases, Intervention Partners. How Does Action Towards Inclusion Work..? Action Towards Inclusion is based on a Keyworker and Intervention Partner model. Intervention Partners will provide a range of specific support which will help to remove participants’ barriers. Who is eligible to take part in the project..? They are legally resident in the UK and able to take paid employment in European Union member states, and they are unemployed or economically inactive.